Relaxing the rules and letting your kids go a little wild is one of the best parts about summer break. In our house, bedtimes are flexible, screen time creates little guilt, and going for a swim counts as a bath more times that I’m willing to admit. Which is why this is the best time of year to let your kids do some experimenting when it comes to their hair colour. 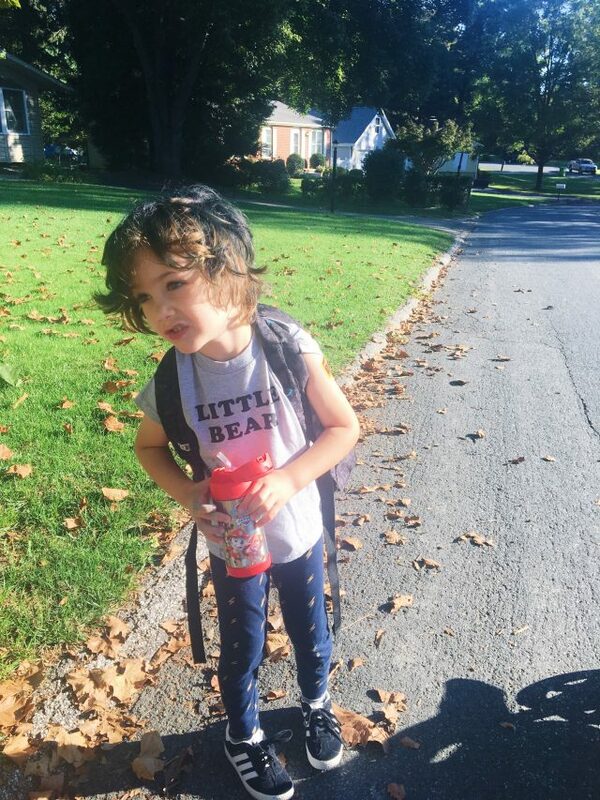 Playing with washable fashion colours is a great way to for kids to try out new looks and there are lots of ways to add a little pigment without making long-term commitments. 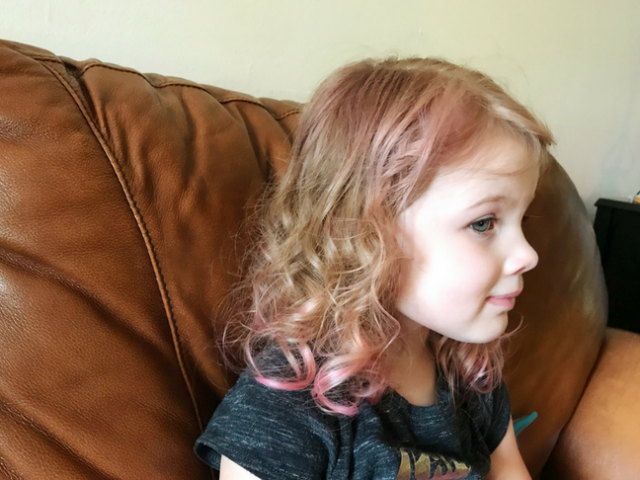 Thanks to washable hair colour chalks, sprays and conditioners, your kids can look rad in red, pink, blue, purple and green before you know it. 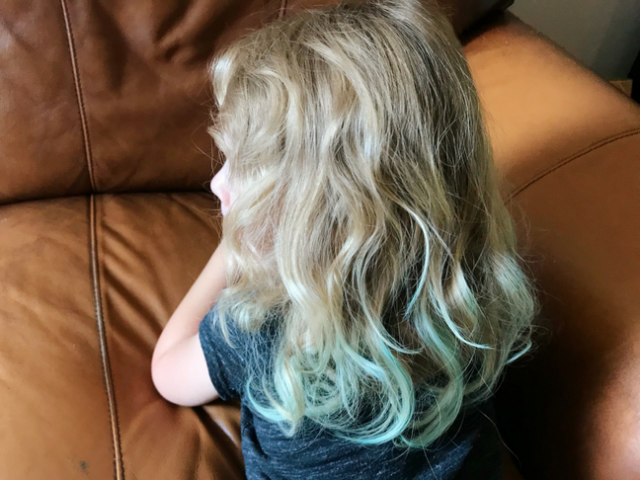 See the below 3 ways your kids can rock temporary hair colour for however long they (and you) please. Spray-in colour gives the least amount of control but is quick to apply. These are usually aerosol cans of colour and they wash out easily in the bathtub. Spray-in colour is effective for darker hair colours because it tends to be bright, full of pigment, and shows up even on black hair. But use this outdoors or you could end up with a bright blue bathroom wall. Hair chalk is another that comes right out in the tub. It offers a little more control than a spray, but can still get fairly messy. A highly-pigmented piece of chalk is held between the fingers to a section of hair with the thumb securing the hair against the chalk. Just pull the chalk down the length of the hair and the strands will be coated in colour. For a little durability throughout the day, try applying hairspray to hair before the chalk, then sealing with another coat of hairspray. You can apply from root-to-ends, or keep the colour on just the ends of the hair for a dip-dyed look. With hair chalk, it’s also easy to use multiple colours at once. Pigmented conditioners take a few washes to remove but are still a pretty small time commitment. Unlike with hair chalk and spray, the original colour of the hair has a big impact on how the fashion colour is going to look. Pastels aren’t going to show up on brown or even dark blonde hair. Bright colours are going to show up muted on darker hair. The application is as easy as applying your regular conditioner. Once you wash your hair, just follow up with a pigmented conditioner and let it sit for about ten minutes before rinsing. No need to wash again. If you need the colour to wash out faster, you can always use a clarifying shampoo. Some schools allow coloured hair during the school year. Always check with the dress code at your child’s school before committing to something longer lasting like a demi or semi-permanent hair colour. Otherwise, let your kids go wild and maybe think about joining them. It’s just summer, right?